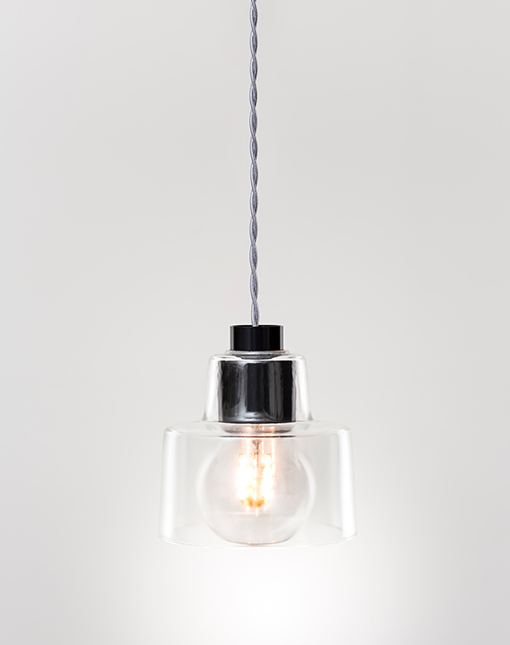 Acorn is characterised by the stepped, glass shell that cups over a coloured hood and the round, plump lamp source. The glass shell is moulded, molten glass creating each light unique with variations such as small air bubbles and dimples within the surface. Acorn lights can be dimmable and are fantastic for atmospheric lighting, in multi-clusters, as well as discreet lighting.